I find commissioning my own custom made art pieces a lot more meaningful and valuable than those super expensive paintings I can buy from a gallery. I can communicate my preferences to the artist and have a completely unique work of art, all without burning a hole in my pocket. 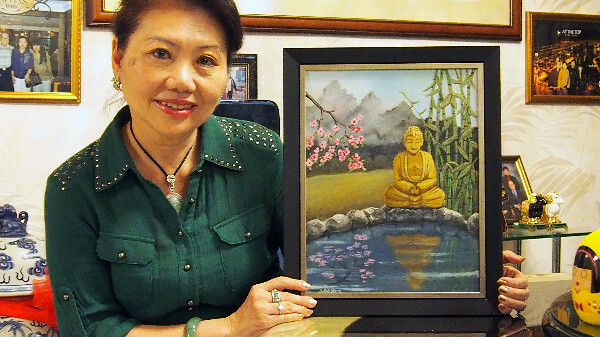 Su Yuen spent two years before The Commissioned was created, searching for an artist to paint a picture of Buddha for her parents. She had a specific requirement - the painting must include 28 cherry blossoms (symbolizing prosperity) and nine bamboo shoots (symbolizing longevity). She was delighted to find an American artist on The Commissioned, who created that piece for her - a piece that her mother continually raves about to her friends. 1) Thanks for taking the time to speak with us Su Yuen. Can you tell us why you commissioned a painting? I commissioned a painting as I wanted to get a custom made, meaningful gift for my mum on her birthday. 2) What did you enjoy most about the entire experience? I enjoyed the way I got to review sketches, and colors at every step of the process before approving the final output. Being able to see the art in the making, step by step, was quite an eye-opener! This is something you don't get to see if you buy a piece of art off the rack. 3) What message did you wish to convey to your mother through the piece? 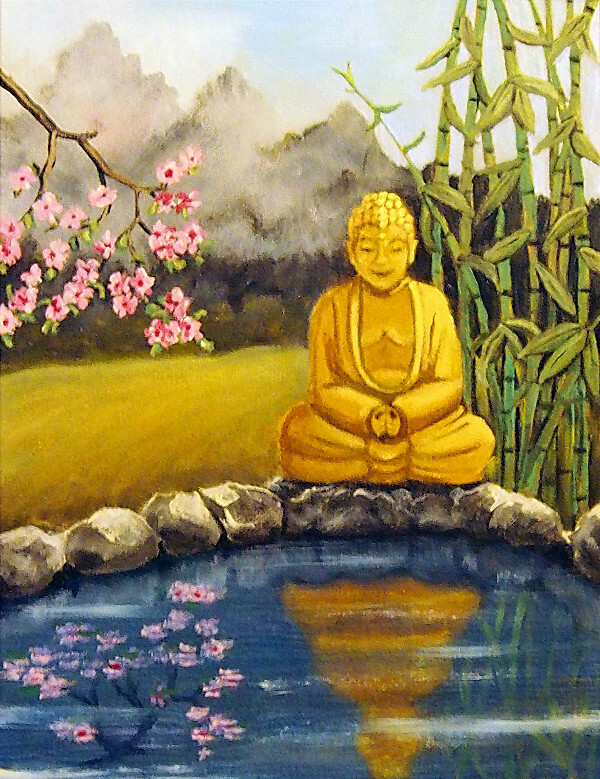 The painting features 9 bamboo shoots, which symbolizes long life, 28 cherry blossoms, which means prosperity, and buddha, who represents tranquility. I wanted the art piece to convey blessings of long life, tranquility and prosperity for my mum. 4) Would you commission an art piece again? Why or why not? Yes! I find commissioning my own custom made art pieces a lot more meaningful and valuable than those super expensive paintings I can buy from a gallery. I can communicate my preferences to the artist and have a completely unique work of art, all without burning a hole in my pocket.